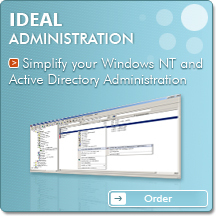 IDEAL Administration simplifies the administration of your NT and Active Directory domains by providing in a single tool all the necessary features for managing domains, servers, stations and users. Your administration can be done through a local network, via a Wan, a VPN, or Internet. 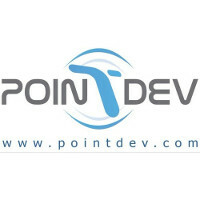 Simplifies the administration of your Windows Workgroups and Windows Active Directory domains by providing in a single tool all the necessary features for managing domains, servers, stations and users. With IDEAL Administration, browse and manage your Workgroups and Active Directory domains becomes as easy as surfing the Internet!